What does Elvis Presley's Jailhouse Rock have in common with a Rice football conference championship? Rice and football aren’t exactly synonymous. Therefore, it is no surprise the Owls’ victory over Marshall on Saturday gave them their first conference championship since … 1957. That year, the Owls pulled off one of their greatest upsets, stunning a Bear Bryant-coached Texas A&M team that was No. 1, 7-6. The season was Bryant’s final one as coach in College Station as he moved on to Alabama. The Owls defeated Baylor the next week and wound up Southwest Conference champions. And that was the last title for the football team until it defeated Marshall in frigid temperatures in Houston to capture the 2013 Conference USA title. What was the world like the last time Rice football called itself a conference champion? 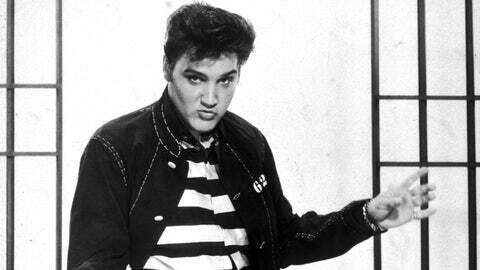 Elvis Presley’s Jailhouse Rock was the No. 1 song in the U.S.
That should give the pro football fans in Detroit and Cleveland hope. If Rice can win a conference championship, maybe there will be a Vince Lombardi Trophy in either of those two cities sometime.